First off, what exactly is ceviche? At its most basic, it consists of slices or chunks of raw fish tossed with an acidic marinade, most commonly plain citrus juice. As the pieces of fish sit in the marinade, the citric acid from the juice slowly causes the flesh's proteins to denature, in very much the same way that heating will. The result is raw fish with the opaque appearance and firmed texture of cooked fish. Two important factors go into making the perfect ceviche: 1. You must use fresh fish and 2. You must know exactly how long to marinate it. You can use various types of fish such as shrimp, crab, halibut, red snapper, and sea bass. 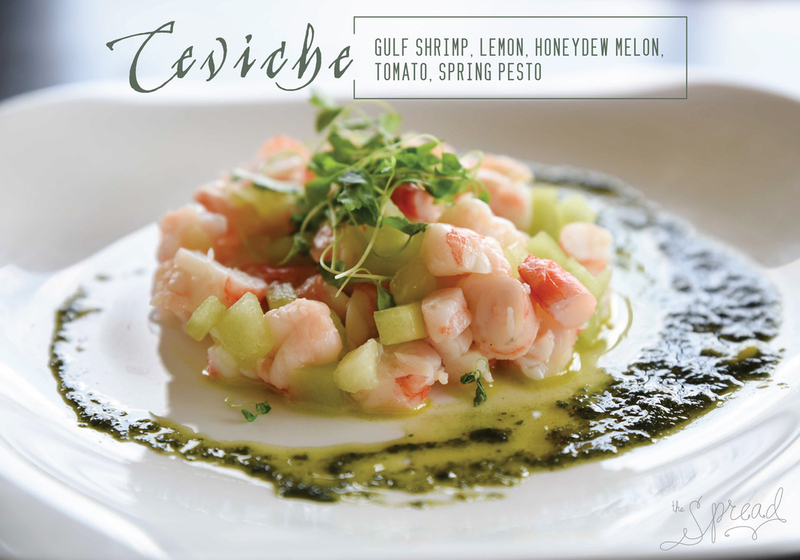 New to Urban Table's menu are two variations of ceviche: one with bay scallops and one with gulf shrimp.